So far this week we’ve talked about graphics cards, middleware, games development and human biology, but we haven’t discussed the elephant in the room: the 3D display you’re meant to gawk at. This is partially because we struggled to come up with a pun good enough that included both 3D and the word ‘screen’ or ‘display’, but also because we wanted to talk to as many display manufacturers as possible. This allowed us to get the best picture of what the industry was up to (all that pun brain-storming didn’t go to waste). We’ve seen plenty of 3D screens over the past couple of years, and been disappointed by every one. Mainly this is due to the TN panel technology, which is notorious for delivering a dull image with inaccurate colours and narrow viewing angles. Worse still, the 3D technology has lead to these poor-quality screens costing more than premium IPS- or VA-based screens. 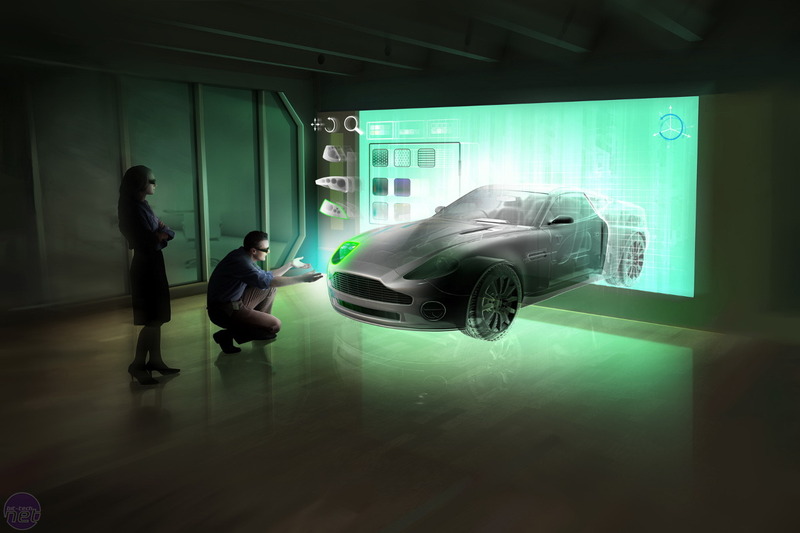 Why have we not seen better 3D monitors yet? 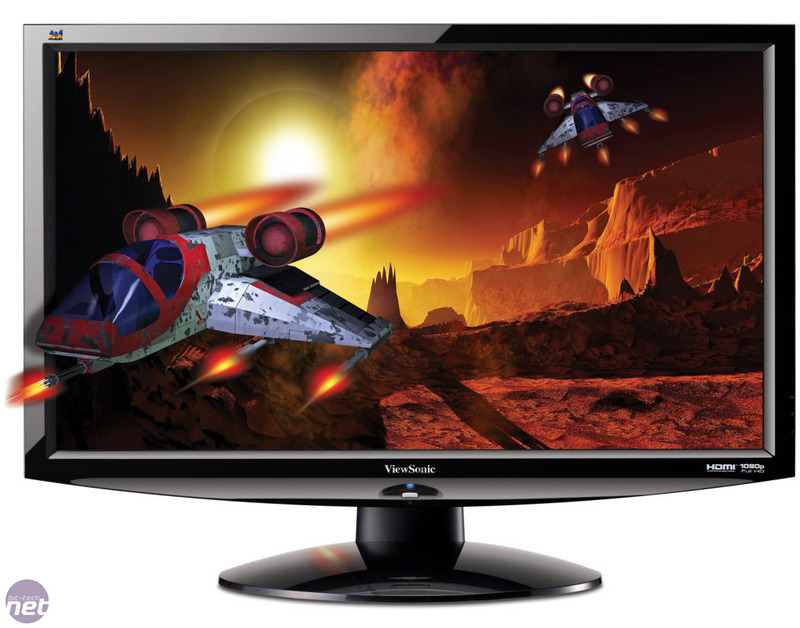 ViewSonic told us that it was ‘purely down to cost, but also market demand. The market for 3D at the moment is for the gaming community. This is typically a 1:1 viewing experience therefore viewing angles are not so much a priority, so and IPS panel would be an expensive solution to achieve the same result.’ It seems it’s our fault – we’re just not willing to pay. 3D, making you fear for your life since 1922. However, ViewSonic also pointed out that ‘We are finding that TN panels are also starting to offer big improvements to their inferior predecessors, such as wider viewing angles, something which we employ.’ We’ve certainly seen some TN-based panels in the past that have had us convinced they must be PVA or IPS – notably the Dell SP2309w. it can also add depth to an image. Professional display specialist Eizo concurred with Dell and BenQ, but was more strident still. Rob Musson, UK business director for Eizo, told us that ‘To handle full-screen 3D you need to show left and right eye images on a single monitor… If the refresh is running at say 60Hz this means a picture refresh of 30 Hz so the user will see flicker. So the way to go is to speed up the refresh [rate] to 120Hz meaning a picture refresh of 60Hz. This might seem at odds with what we’re seeing from 3D tellies – tellies can’t get away with using TN technology as they need to have sufficiently wide viewing angles for many people to watch them. They must therefore be using IPS or VA panels. However, Guenther from Dell pointed out to us that ‘It’s unfortunately a slow process to have the technology trickle down from TVs to PC monitors and also from Asia/Japan to Europe.’ In other words, all those flashy tellies are nicking the good 3D screen technology and us PC users will have to wait. There is some good news on the horizon for 3D gamers: Acer told us ‘We will review the possibility to launch a 27in 3D product with a Wide VA LED panel in Q4 2011’ It also pointed out that ‘Acer has applied the LED panels for all its 3D products’ – LED backlights are typically more even than CCFL tubes, or at least make the screen thinner, lighter and consume less power.